As it was reported by Lambgoat, Architects fans went to great extremes to find out if our favorite British noisemakers would be releasing a new album and touring with Beartooth and Polaris. Turns out their results and speculations were correct. 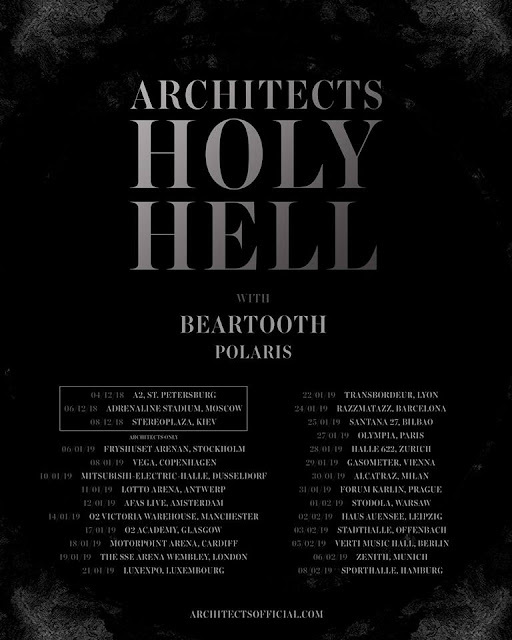 Architects has premiered a brand new video for the song "Heareafter" which is truly beautiful, taken from their impending studio album, "Holy Hell" due November 9th via Epitaph records (pre-orders available here), and have also confirmed an upcoming EU/UK tour.